We believe it takes a special person to write books for children. Children are not mini-adults. They see the world in a very different way from adults. Because children don’t know what is not possible, everything is possible. They take things at face value, even when faced with the impossible. 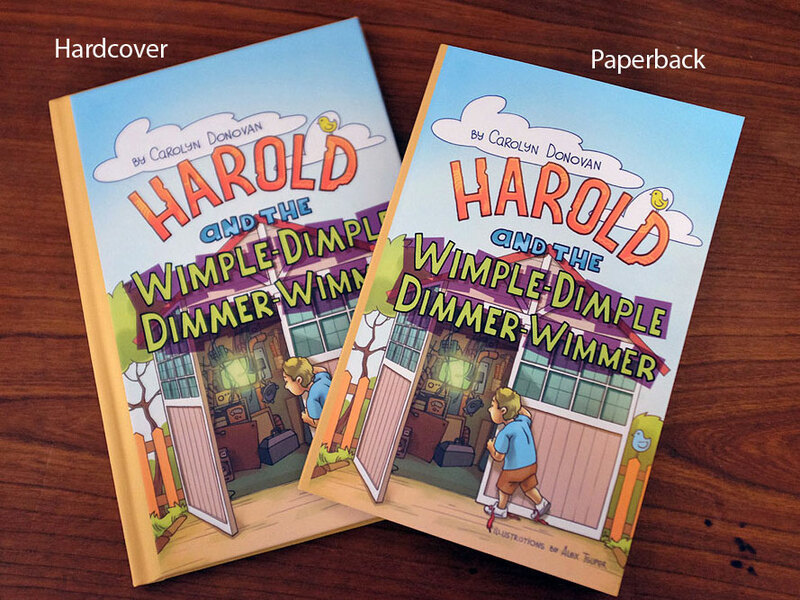 It is with this kind of acceptance of the impossible that children’s book author (and RainyDay Contributing Editor) Carolyn Donovan introduces us to Harold and the Wimple-Dimple Dimmer Wimmer. Harold is seven years old and has a wardrobe management problem. He can’t tie his shoes. Not only that, he’s convinced that he will never (ever) be able to tie his shoes. In the garage, where everyone sees just a pile of junk, Harold sees the Wimple-Dimple Dimmer-Wimmer. Just what the heck is a Wimple-Dimple Dimmer-Wimmer? What will happen if everyone sees how amazing it is? Will Harold eventually learn to tie his shoes? Harold and the Wimple-Dimple Dimmer-Wimmer makes a great read-to-me book. Parents, grandparents, baby sitters, and even older siblings will enjoy reading this book to any kid who’s worried that he or she will never (ever) get the hang of something. With over 20 full-color illustrations by Alex Tsuper, Harold and the Wimple-Dimple Dimmer-Wimmer is not only fun to read, it’s a delight to look at as well. BTW, we would be remiss if we didn’t point out the following video.